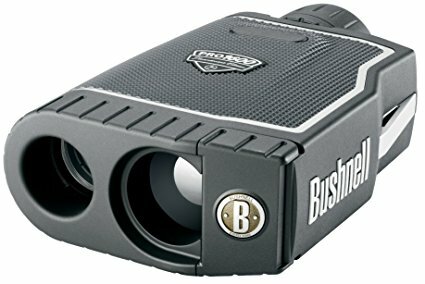 The Bushnell Pro 1600 and the Bushnell Tour V2 are a couple of the more popular laser golf range finders. Those seriously considering a Bushnell model often ask about the differences between these two units, so we thought it would be helpful to provide a side-by-side comparison of the two. 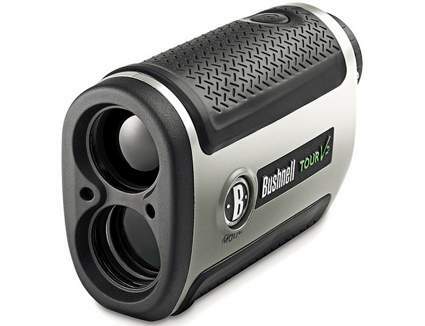 Bushnell Pro 1600 vs Bushnell Tour V2 – Tour V2The Pro 1600 has a maximum range of 1600 yards and 400 yards to the flag. The Tour V2 is does not have as high of a range, only going up to 1,000 yards and 300 yards to the flag. Both of these top ranges are much more than you will ever need. What matters is whether or not you can shoot the flag on the course from where your ball lies. We found that the Pro 1600 was much faster for returning yardages and was able to capture the flag much easier as well. The V2 simply takes longer when you need a reading, and it gets slower the further out you get. The Bushnell Pro 1600 model features 7x magnification, whereas the Bushnell Tour V2 only has 5x. This is not a huge difference when you are trying to target a flag, but the Pro 1600 does give you a more accurate eye to catch the flag. This advantage becomes more noticeable when you are trying to range the edge of a hazard or a specific tree. Depending on the type of golfer you are and how steady your hands are you may prefer the lower 5x over the 7x of the Pro 1600 model. To use the 7x properly you do have to steady the range finder quite a bit and this can be an issue for some people. We, however, prefer the higher magnification of the 1600. Both rangefinders have about the same features, but the Bushnell Pro 1600 does have a few advantages when it comes to the features. The both have a pin seeker mode to help zero in on the flag. They both also feature a scan mode for multiple yardages while panning the target area. However, the Pro 1600 has a twist up metal eye piece with an oversized ocular. It is also waterproof, whereas the Tour V2 is not completely waterproof, but water-resistant. Both rangefinders have a very similar display and getting accurate yardages is quite easy. It is hard to say that one of these is better than the other when it comes to how easy they are to use. The Pro 1600 is preferred by those that want a larger range finder, whereas the V2 is just as easy to use, but it is much smaller. This category is a tie between the two and it really comes down to a personal preference. The Bushnell Pro 1600 uses an easy to find 9-volt battery, whereas the Bushnell Tour V2 uses a 3-volt lithium “camera” type of battery. You will get a large amount of life out of the lithium battery in the Tour V2, but the 9-volt batteries are cheaper to purchase and easier to find. There are not many issues with either of these types of batteries even though some have stated they get very little life out of the lithium batteries. Others have said they don’t have to change their battery more than once or twice a year, while playing a few rounds a week. Again, this category is a tie because some will prefer one battery over the other. Both the Bushnell Pro 1600 and the Bushnell Tour V2 are covered by a two year warranty. When you are spending a few hundred dollars on a tool for your golf game it is expected that it should be covered for a reasonable amount of time. You need to make sure whichever rangefinder you choose has a full warranty for at least a couple of years. Since both of these are covered for the same amount of time this is another category that is a tie. It should not be much of a surprise that we recommend the Bushnell Pro 1600 over the Bushnell Tour V2. The Pro 1600 is simply packed with more features and is able to do more for you than the Tour V2. With higher magnification and faster, more accurate readings, it’s clearly superior to the V2. This may be the only reason you may want to consider the Tour V2 over the Pro 1600. The Pro 1600 is a bit more expensive than the Tour V2, but you do get what you pay for. The better value is in the Pro 1600 because it is simply a better rangefinder than the cheaper Tour V2. 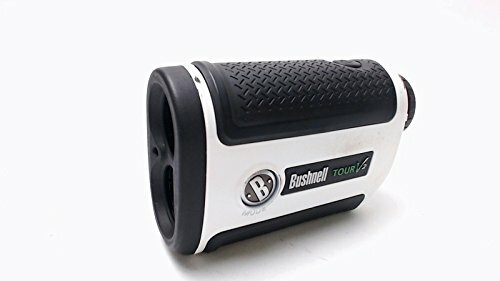 When it comes to your own personal preference you may choose the Bushnell Tour V2 if you want a smaller rangefinder. However, if you are able to spend a bit more money you can get a much more advanced rangefinder in the Bushnell Pro 1600.